Why people often ask do we not ignore the small group of anti-Semites – the Shamirs, Atzmons, Eisens and Rizzos - around the Palestine solidarity movement. There are three reasons. Firstly the existence of such a group is a recent phenomenon. Although numerically insignificant, the danger is that they will gradually racialise discourse and depoliticise the Palestine solidarity movement. Historically supporters of the Palestinians came to their positions primarily from a socialist and anti-imperialist perspective. The exception to this was in the Labour Party where it was the Tribune group which tended to be pro-Zionist and the Labour Right, people like Christopher Mayhew and David Watkins, who were pro-Arabists. People forget that until the 1982 Lebanon War, people like Tony Benn and Eric Heffer were members of the Labour Friends of Israel. There were a few conservative supporters, usually Arabists, such as the late Lord Gilmour, but by and large they were the exception. Secondly because it used to be the case that those who equated being Jewish and Zionism were either confused or fascists. But today there is a minority who have come to these views via their work around Palestine, whereas the fascists were never interested in Israel’s crimes other than as a stick to beat Jews with. That is why the BNP, for whom anti-Muslim racism is now its main focus, is now pro-Zionist. But the third and most important reason is that the arguments of Atzmon and Shamir [A&S] can only lead in one direction – to the strengthening of Zionism. All those who say that if you are Jewish then you are also Zionist are doing the work of Zionism. The purpose and effect of their political intervention is to divide the Palestine solidarity movement and to ostracise its Jewish component. We should not be surprised about the A&S phenomenon. . Just as Zionism was both a reaction to and a reflection of anti-Semitism so Atzmon & Shamir are a reflection of Zionism. It is no accident that A&S reserves their venom primarily for Jewish anti-Zionists. We are the ‘Elders of London’ crypto-Zionists no less! In fact there were a number of White anti-apartheid groups in South Africa, for example the Black Sash and End Conscription Campaign. There is a long history of minorities among the privileged group organising amongst themselves, whether it is anti-Zionist Jews or anti-apartheid Whites. The one campaign which seriously rattled the Zionist movement was the Boycott campaign in the trade unions. This was a campaign which was led by Jewish anti-Zionists. And what was the reaction of the Board of Deputies of British Jews? Did they applaud those Jews? According to the Jewish Chronicle (22.6.07.) ‘deputies also gave vent to their anger – particularly at Jews who supported the move (for boycott).’ Strange that. Perhaps Atzmon should have told them we were also Zionists! A Jewish anti-Zionist ‘serves as an inside enemy. It is he who will convert (to Zionism) in the next anti-Semitic wave.’ And there we have it. The anti-Semitism that Atzmon is doing his best to create will in turn create more Zionists! To A&S, Zionism is the authentic representative of secular Judaism. Their enemy is what they term Bundists, i.e. Jewish socialists and anti-Zionists. The Bund, the General Jewish Labour Union of Lithuania, Poland and Russia, was formed in 1897 to unite the Jewish workers of the Pale of Settlement in the Czarist Empire. The Bund sought cultural and political autonomy within society and within the Russian Social Democratic Party and when the majority refused to accede to this, it left in 1903, rejoining in 1906. Regardless of one’s position on these antiquated debates, there is no doubt that the Bund played a major part in the revolutionary struggle in Russia against Czarism and anti-Semitism, organising self-defence against the pogromists of the Black Hundreds. During the Hitler period it was the Bund who led the resistance in the Warsaw Ghetto without which there would have been no uprising. The Zionist groups, in particular Hashomer Hatzair, had little contact with non-Jewish groups, from whom they needed weapons to conduct the uprising. The Bund was also anti-Zionist and saw Zionism as an abandonment of the fight against anti-Semitism and fascism. Whereas the Zionists abandoned the Jews of Europe, on occasion collaborating with the Nazis, the Bund fought to its last breath. The Bund representative in the Polish government-in-exile, Shmuel Zygleboym, after the crushing of the Warsaw Ghetto Uprising, committed suicide in protest at the indifference of the world to the fate of Poland’s 3 million Jews. 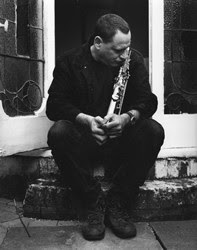 What is Atzmon’s analysis? To him the Bund was ‘a unique esoteric form of Judeo-centric socialist reading of the Jewish question…’ That the Bund represented the oppressed of the oppressed has escaped him entirely. Far from being ‘Judeo-centric’ the Bund sought to organise Jewish workers as a means to forge unity with non-Jews. Apparently the Bund failed to grasp the obvious meaning of cosmopolitanism and universalism as an opposition to any form of racial or ethnic division within the ‘international’, early Zionists were clever enough to realise that the true meaning of nationalism can only be realised in terms of geographical orientation. For the Zionist, nationalism meant a bond between man and ‘his’ land. These statements are not merely the product of ignorance. What Atzmon is saying is that when it comes to the historical dispute between Jewish socialists, who insisted on fighting anti-Semitism and racism where they lived, and Zionism, which accepted the arguments of the anti-Semites that Jews did not belong in the societies they were born into, Atzmon sides with the Zionists. Compounding his ignorance, Atzmon argues that the Bund ‘also failed to develop a general tolerant attitude towards the manifold of ethnicity within the Jewish people around the world.’ Since the Bund made no claim to represent ‘the Jewish people’ or anyone other than the Jewish workers of Eastern Europe it is no surprise that they made no claims concerning Arab Jews. Yet if Atzmon is critical of the Bund, then he is sympathetic to Zionism’s origins: ‘Zionism conveyed an exceptionally harsh reading of the Jewish Diaspora conditions and promised a transformation of the Jewish reality.’ That is certainly one way of putting it! And when Arthur Ruppin, head of the Jewish Agency 1933-35 was accused of being anti-Semitic he retorted that ‘I have already established here that I despise the cancers of Judaism more than does the worst anti-Semite.’ [Ibid. Diary 4.8.1893]. Ruppin called for the execution of Dreyfuss, symbol of the fight against the reactionary and clerical anti-Semitism in France. 'a people disfigured in both body and soul - in a word, of a horror. At the very worst it can maintain us in a state of national impurity and breed some sort of outlandish creature… The result will be something neither Jewish nor Gentile - in any case, not a pure national type.... some sort of oddity among the peoples going by the name of Jew.' [Arthur Herzberg, The Zionist Idea, pp. 322/3]. This gibberish is a consequence of A&W failure to understand Zionism. It is a result of seeing the problem as ‘Jewishness’ rather than Zionism. And this is the other aspect of their politics. They fail to recognise still less understand Zionism as a political category. It is the Jews, not Zionism, that is the main enemy. In fact the reverse is true. Diaspora Jewry is starting to fall out of love with Israel. Just as the number of Israeli emigrants is estimated to be some ¾ million, that is over a seventh of Israelis in total, a phenomenal number for a young state. [Emigration from Israel exceeds immigration, report 04/20/2007 Tel Aviv (dpa) - In Israel, the number of emigrants exceeded the number of immigrants for the first time in 20 years, the Israeli daily Yediot Ahronot reported Friday. Many emigrants were recent arrivals who wanted to leave Israel again, the report said. In 2007, 14,400 immigrants are expected in Israel while 20,000 people are expected to leave the country, according to the report based on figures for the first months of 2007. As long as Israel is an ethnic state, it will be forced to deepen the occupation and intensify its ethnic cleansing policies to prevent the emergence of genuine Palestinian political influence… The obstacle to a solution, then, is not about dividing the land but about Zionism itself, the ideology of ethnic supremacism that is the current orthodoxy in Israel. As long as Israel is a Zionist state, its leaders will allow neither one state nor two real states. Noone has been more explicit in developing this argument than Mary Rizzo, the person who runs the anti-Semitic sewer that goes by the name of ‘peacepalestine’. In December 2007 Israeli academic, Ilan Pappe, who has done more than any other historian to publicise the truth about the massacres and expulsion of over ¾ million Palestinians in 1947-9, was interviewed for the Italian newspaper, il manifesto. In a debate on Alef [Academic Left] a site hosted by Avraham Oz of Haifa University, Rizzo made it clear that she disagreed with Pappe’s analysis. Pappe argued that ‘we have to change our terminologies. It's not about a clash between Jews and Palestinians.’ This was a red rag to the anti-Semitic bull. ‘This is inaccurate’ Rizzo proclaimed. ‘The settlements are inhabited by Jews and the occupation of Palestine is for a Jewish State.’ By the same analogy, no doubt Unionism, since it sought a Protestant State for a Protestant People, was the product of the essential and changing nature of Protestantism. Leaving aside Rizzo’s ability to discern what Palestinians are thinking, a good example of the imperial arrogance of the anti-Semitic ‘supporters’ of the Palestinians, one wonders what she thinks colonialism involves? Tea and cucumber sandwiches for the natives? Religion and the missionaries were one of the main ideological props of colonialism and what is racism if not the justification for colonialism? When Pappe pointed to the fact that ‘Today there are opinion movements of young Jews, in Europe and in the US, who point the finger at Israel's colonialist policies and accuse it as a colonialist and racist state, not because it is a state founded by Jews.’ Rizzo all but exploded. ‘So far, they have not been able to liberate one inch of Palestine.’ True of course but is that their role? Has anyone liberated an inch of Palestine? For Rizzo and Atzmon Jews ‘are certainly not the protagonists in any liberation struggle and they have no bearing whatsoever on what is happening to the people of Gaza.’ Warming to her theme, she railed that ‘We don't need to keep on praising Jewish activists when they are so totally ineffective and keep the pressure of our leaders down, do we?’ No doubt Rizzo and Atzmon have made up for our ineffectiveness but in reality Jewish activists have been the most prominent and effective supporters of the Palestinians, precisely because as Jews we counter the myth that Zionism is the only voice of Jews. Apparently Zionism is not a settler-colonial movement but a Jewish movement and it is Jewishness that defines Israel. The rest of the arguments are specious. It may be exceptional that there is no mother country but it isn’t unique. The Boers of South Africa had no mother country, as they found out when they came into armed conflict with the British in 1899. After the American War of Independence in 1783 is anyone seriously arguing that the American settlers weren’t colonists? Yet they had no mother country. Was the displacement of the indigenous population of the Pacific western coast of the USA different in mode or degree from that of the Eastern seaboard? It would be interesting to know if Rizzo can name a colonial movement which did not take over the resources of another country or try to preserve its own national identity? Maybe she has never heard of Rhodesia’s Land Apportionment Act of 1930 or South Africa’s Group Areas Act? And all settler colonial movements seek their independence. The British Empire created a specific category of self-governing colonies called Dominions. In rejecting any class analysis of the Palestinian question and the idea that Zionism is a settler colonial movement, the A&S anti-Semites have only one explanation left. The Jews. How strange it is that the Jews left it to the late 19th century, the era of colonialism, in order to achieve their State. Even stranger is the fact that the most ardent Zionists weren’t even Jewish.